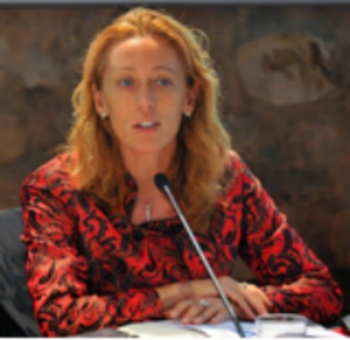 Elisa Tonda is the Head of the Responsible Industry and Value Chain Unit in the Economy Division of UN Environment, whose main goal is the promotion of sustainable production and consumption practices in public and private sector through the engagement of the business community. Prior to that, Elisa has been the Regional Officer based in the Regional Office for Latin America and the Caribbean in Panama City. She was in charge of supporting the implementation of the initiatives addressing Resource Efficiency, Sustainable Consumption and Production and Green Economy. During her professional experience with UNIDO (United Nations Industrial Development Organization), she was responsible for project development and management in the area of Cleaner Production and sound chemicals management. During her former professional career, she had been working with the private sector in the areas of environmental authorizations and permits, environmental certification including ISO 14001, the design of environmental service facilities, the environmental impact assessments of landfills and mining sites, and the remediation of contaminated industrial sites. Elisa has a Master degree in Environmental Engineering from the Polytechnic of Turin, Italy, and a Master degree in Sustainable Development from the University of London, UK.